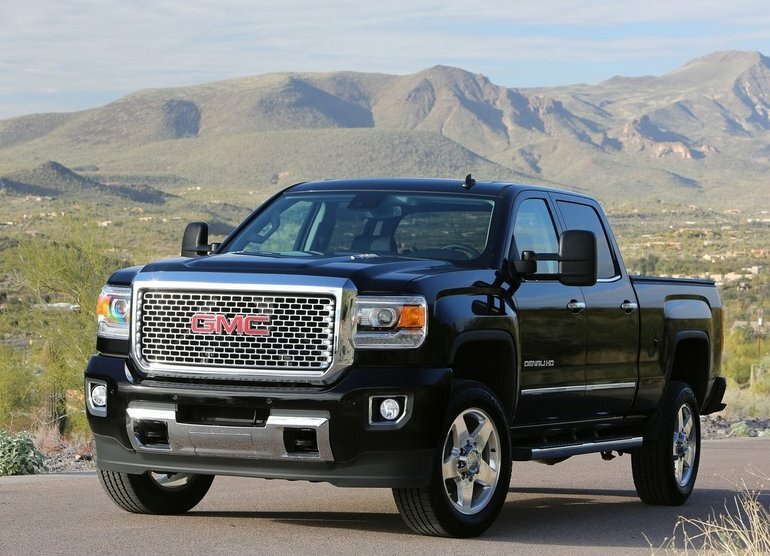 Home > Headlines > The 2015 GMC Sierra is the Complete Package! The 2015 GMC Sierra combines heavy-duty toughness with sleek style and comfort that will get any job done effectively and comfortably. The 2015 version of the Sierra is packed with new tech and features that will be a welcomed addition to truck lovers everywhere. Here are some things that you need to know about the 2015 GMC Sierra. The 2015 Sierra has had been upgraded visually. It features an all-new cab and all new styling that gives it a rugged working truck look. It also has been specifically designed to be more aerodynamic and quiet. The truck offers subtle features such as steps and handles to get in and out of the back easier. GMC has made many adjustments some smaller than others but all will improve the experience of its everyday use. The interior of the truck is much more spacious than the previous versions. Once in the truck you will quickly realize the extra room you have in both the front for the driver and in the back for the passengers. The front storage bin now has several USB ports so that you can charge your devices as you drive. It also comes with a power inverter and two sets of cigarette lighter ports. The Sierra provides the driver with ample space for storage. There is plenty of room to store various sized items inside of the centre storage unit. The centre dash is extremely well laid out and all of the controls are easily accessible. The leathers and other fabrics available for the interior also give the truck a touch of class.Under the hood, the GMC Sierra has great engine options. The heavy duty sierra comes with a base 6-litre v-8 gasoline engine. This engine gives the Sierra an impressive 360 horsepower and 380 pound-ft of torque. If you want a diesel engine that option is also available with a 6.5 litre Duramax v-8 diesel engine. Overall the GMC Sierra is a great truck that can get the job done on a day to day basis without any holdups. But where it really shines is in the added comfort that the truck will provide to its owners. You will feel like you are driving a luxury vehicle with the grit and power of an outstanding pickup.